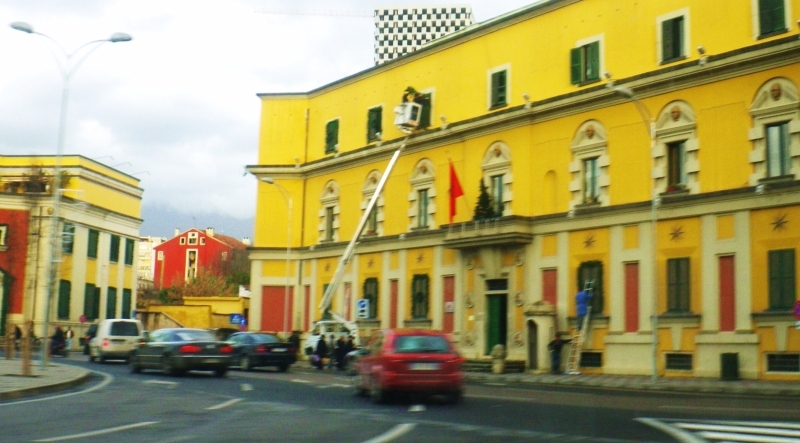 The 2011 New Years Lighting Competition is officially underway in Tirana! If you missed last years awards, check them out here. 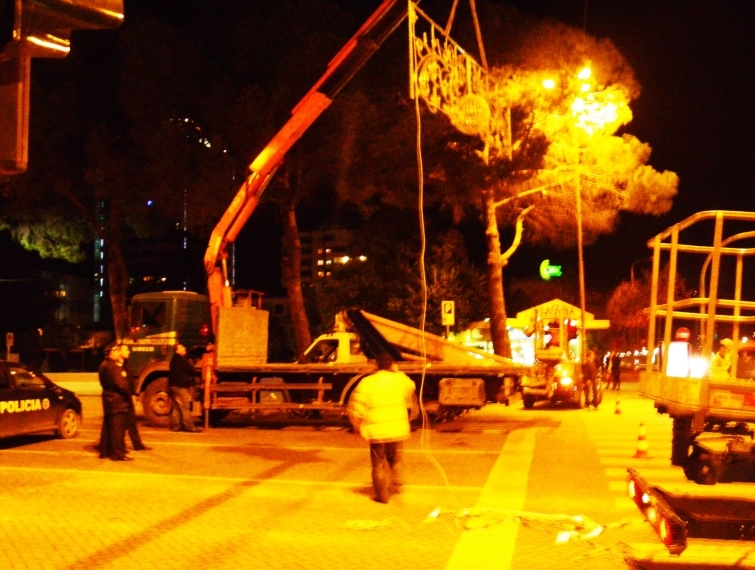 Late Sunday night and into the early hours of Monday morning, crews were about Tirana’s main boulevard gearing up for this years lighting season, and the Second Annual Tirana New Years Lighting Competition. This season looks to be full of displays and good cheer. It’s great to see private businesses and homes spending their own money to shine light on us during these long winter nights. Its also warming to know that our city and our state institutions can shine brightly this season too, even though our traffic lights don’t work, and streets have potholes and open sewage is running into the Lana River. It is nice to see that they really care about us! This is the time of the year for people to show their good cheer with a few seasonal lights around the apartment, for businesses to show commitment to their customers by splurging on decorations, and for institutions to blow the last of their annual budgets and show us our taxes at work! 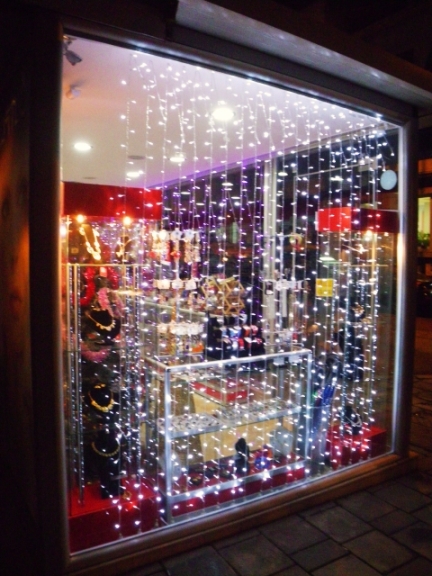 A small lighting display will register a small electricity increase, but a larger display will register a larger increase. Sa lek? At the going rate, a good sized display with 10,000 LED energy saving mini-bulbs will cost about 70 lek an hour, 100,000 bulbs would be about 700 lek an hour, and so on. These are among the most energy efficient bulbs available and reduce costs by up to 90%. Check here to make your own estimates. 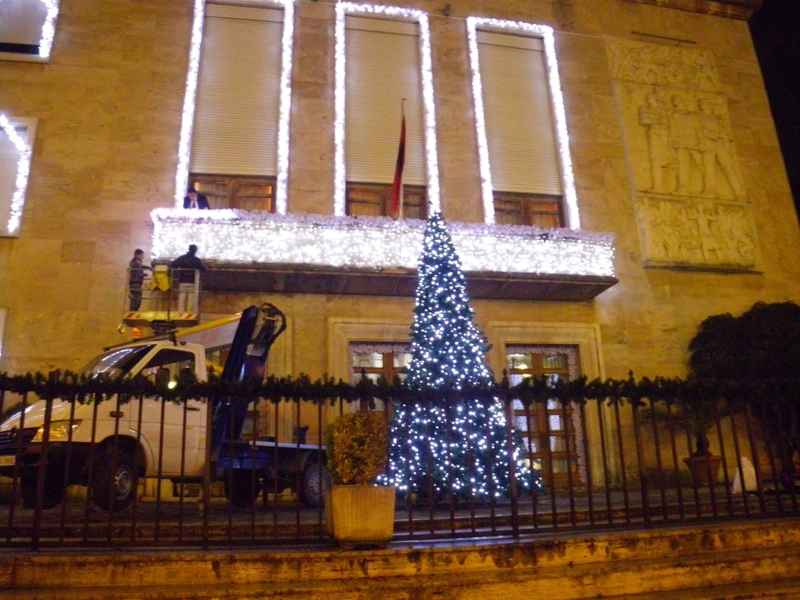 To acknowledge the competitive spirit of some who may or may not be paying for their electrical displays, we have added a new prize to the 2nd Annual Tirana New Years Lighting Competition. New this year is the “Highest Estimated Electrical Bill Award”, and like all awards this year, can be won by any decorated space in Tirana! Just remember, like many prizes in Albania, this one will be given in spirit only! Any decorated space is eligible for an award! Also new this year, our board of directors has made the decision to re-name the “Worst Decorations Award” to the “Presidential Award”. Best Overall will remain as such until further notice. WE HAVE TO SEE IT! !